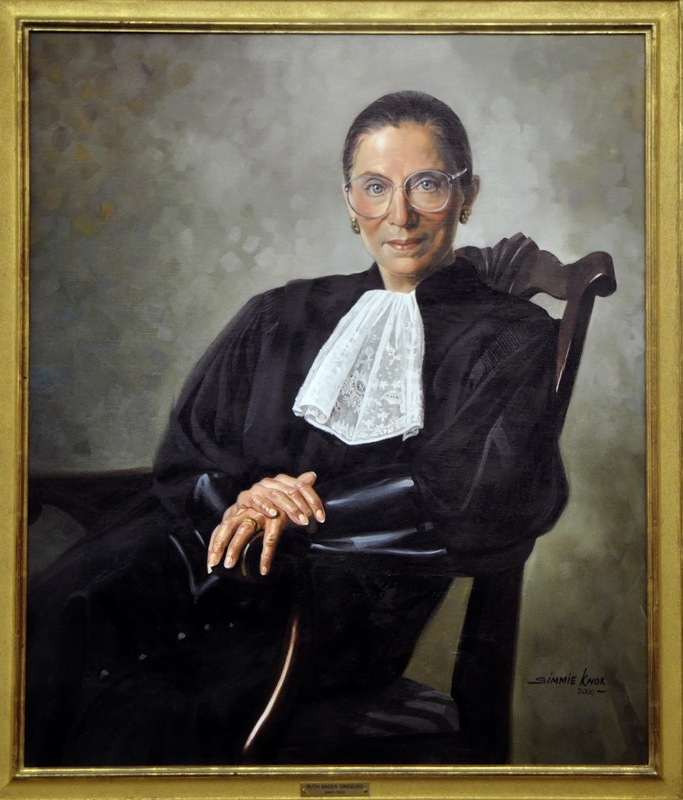 If you are a woman in the law, it is impossible not to owe a debt to Ruth Bader Ginsburg, aka The Notorious R.B.G., who has broken down many barriers on her way to becoming the second female Supreme Court Justice. There have been calls for her to retire given her age, 81, to effectively "take one for the team" and get another liberal appointed to SCOTUS under the auspices of a Democratic president. As the NYTimes noted, "[t]he retirement talk started around 2011, when the Harvard Law School professor Randall Kennedy wrote an essay in The New Republic arguing that both Ginsburg and Justice Stephen Breyer should quit while there was still a Democratic president to nominate replacements. 'What’s more, both are, well, old,' he added uncharitably. As time moved on, the focus shifted almost exclusively to Ginsburg (“Justice Ginsburg: Resign Already!”). Perhaps that’s simply because she is older than Breyer, who is now 76. Or perhaps there’s still an expectation that women are supposed to be good sports, and volunteer to take one for the team." There has never been an insistent call for the resignation of a male justice, and there have been male justices who were older than R.B.G. when they stepped down. “John Paul Stevens didn’t step down until he was 90 and Louis Brandeis had served until he was 82." This scenario, in some ways, reminds me of the recent Sheryl Sandberg article in the NYTimes noting the sacrifices that women are expected to make in the workplace. "This is a sad reality in workplaces around the world: Women help more but benefit less from it. In keeping with deeply held gender stereotypes, we expect men to be ambitious and results-oriented, and women to be nurturing and communal. When a man offers to help, we shower him with praise and rewards. But when a woman helps, we feel less indebted. She’s communal, right? She wants to be a team player. The reverse is also true. When a woman declines to help a colleague, people like her less and her career suffers. But when a man says no, he faces no backlash. A man who doesn’t help is 'busy'; a woman is 'selfish.'" R.B.G. could have succumbed to the calls for her to leave office, but for the sake of women everywhere, we should all be happy that she didn't. She is still, at the ripe age of 81, leading the way.